Facebook, Instagram, and WhatsApp is apparently down; did it happen to you? Maybe it’s not your internet but it’s the social media networks you are using. Yes, Facebook and its related networks including WhatsApp and Instagram are apparently down. Reportedly, many users could not post anything on the social media and most of them could not even log into their accounts from the start. Even some Instagram users have also complained about not getting access to the application. All the mobile version or web based social media networks of Facebook are running quite right at my side but I don’t know about many of you. 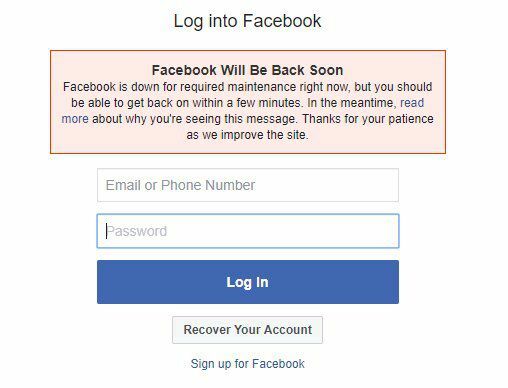 Although, the solution to the outage is not clear yet but we hope the social media giant makes some accurate steps to get back the swiftness in its applications and webpages.